It’s the moment you’ve been waiting for. You may have had an inkling it was coming or have been completely surprised – but either way (assuming you said yes), you are now engaged and well on your way to walking down the aisle – congratulations! But just what do you need to focus on right now, and what can you put off until later? With the average engagement time being 12 to 18 months, there are some things that you should be thinking about now. Here are some tips on what you should think about sooner rather than later. Chances are your partner has been planning a long time to ask you to marry them. They may have had the engagement plans in the works for a few months now, so do both of yourselves a favour and just revel in the feeling of being newly engaged without talking about your future wedding. There will be plenty of time to discuss ideas later and once you break the news to your loved ones, you will be peppered with questions. Take this time, just the two of you, to let it all sink in before sharing your good news. While it may be an unintentional oversight, many couples fail to tell their loved ones personally about their engagement. In their excitement, more and more these days couples are announcing their upcoming nuptials on social media, and for your families and closest friends that just won’t do. Pick up the phone and let them know or if possible, let them know in person. It might seem like a small detail to you and easier to tell everyone in one fell swoop; however, your parents and loved ones will appreciate finding out through you instead of scrolling on social media. It may not be necessary, but it can be a lot of fun to hold an engagement party to celebrate your great news with your closest family and friends. This can be done before or after breaking the news on social media, and it can be a casual or dressy event. A lot of people see this step as a formality, but it might be a good idea to contemplate having one as a way to celebrate this major life event with those dear to you. It’s a small detail, but setting up an email address for the two of you to use when attending wedding events, signing up for newsletters online, or to use for communicating with wedding vendors is not a step to overlook. This way you can both see your correspondence and have records of conversations with vendors without having to sort through your already overflowing inbox. Keeping it all separate will make your lives easier. Often getting overlooked in the excitement and initial planning, don’t delay in insuring your ring. This can be done through the jeweller where your fiancé purchased the ring or added to your existing home insurance policy. Sizing should also be a top priority if needed, not only so you can show off the ring when you announce your engagement, but also to make sure it is safely secured on your finger. Also think about getting a manicure; all eyes will be on your left hand so it’s not a bad idea to show off your ring in style. It may not be romantic, but discussing your budget is a huge and necessary step in planning your wedding. It will help to determine the size of your guest list and venue, which are two of the biggest decisions you will need to make in the planning process. Your budget can even affect what time of year you will be getting married so deciding how much money you have to spend and where it will come from is key to making some major decisions for your big day. It is a good idea to write out a preliminary guest list, adding everyone you can think of that you would want to invite to your future nuptials. Having a rough idea of how many people you intend to invite will significantly help with your budget planning and steer you toward the right venue. It will also determine how large your décor, floral and catering budgets should be. You can always change your guest list size as you go, but making up an initial list will give you a good sense of what you’re working with and will help you with other decisions. Browsing Pinterest and Instagram, looking at magazines, pouring over photos from weddings you’ve attended – whichever method you prefer, finding wedding inspiration to spark ideas is a great thing to do as a couple to determine the look and feel for your day. 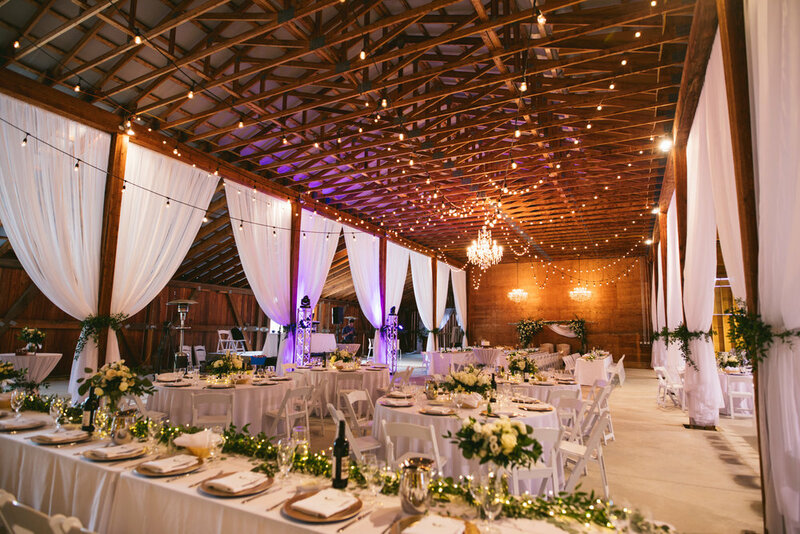 Gathering ideas is something you should do throughout your engagement, but knowing whether or not you want to go bohemian or country rustic will affect what kind of venue and vendors you will need to execute your vision. If you’re like most brides-to-be then you have thought about your wedding day, at least in some part, long before you got engaged. Make sure to sit down with your partner to each make a list of your non-negotiables. If they’ve always envisioned wearing casual clothes and having a small wedding and you are dreaming of a huge affair with everyone decked out to the nines, then you need to decide on what you can be flexible on and what you can’t live without. You have to be on the same page and be working toward a common goal; and, if need be, learn to compromise to create a day you both enjoy. If you want to hire a planner, then it is helpful to find one before you make too many major decisions. They are usually very well connected and can help steer you in the direction of venues that fit your budget and vision as well as assist with the look and feel of your wedding. If you know that having a planner is an essential part of your wedding dream, then look for one early on in the planning process. You don’t need to nail a wedding date down immediately. In fact, it is much easier to tour venues with a few dates in mind rather than having one specific date picked out. It’s often a good idea to start by deciding on a season you wish to have your wedding and then looking for conflicting dates such as family anniversaries, birthdays and travel plans, for you two as well as your closest friends and family members. Knowing which dates do and do not work for you is important before touring venues. 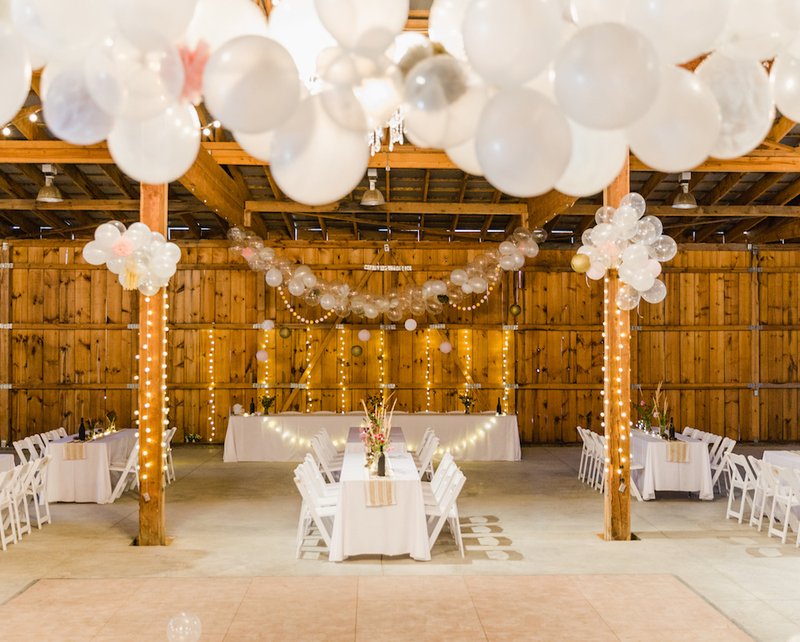 Once you’ve come up with some dates that work for you and your families and have determined a rough guest list size, it’s time to look for a venue that supports both of these criteria as well as your overall vision. 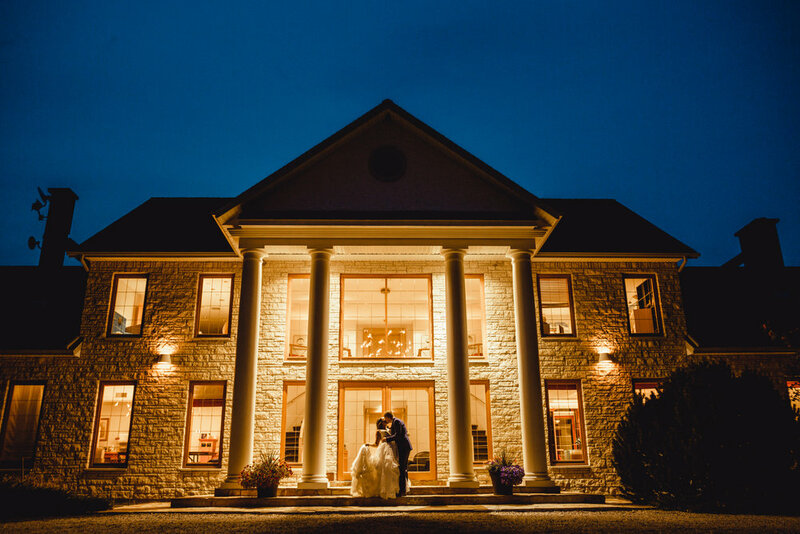 At Cherry Creek Estate, our couples tend to book an average of 10-12 months in advance of their wedding date, depending on the season and the size of their guest list. Try to tour two to five venues that fit your needs in as close a span as possible. Make sure to take notes and photos to refresh your memory when discussing them later! Ask for a preferred vendor list and get a wedding guide if they provide them too – these are already made tools so why not take advantage? Gather all of this information together with your fiancé and decide on which venue best suits your wedding vision and budget. Some vendors, especially photographers, can have dates booked up to a year in advance so don’t delay researching vendors early on in the planning process. If you’re unsure about a photographer and had plans to do engagement photos, why not book them for an engagement session to see if they’re a good fit? 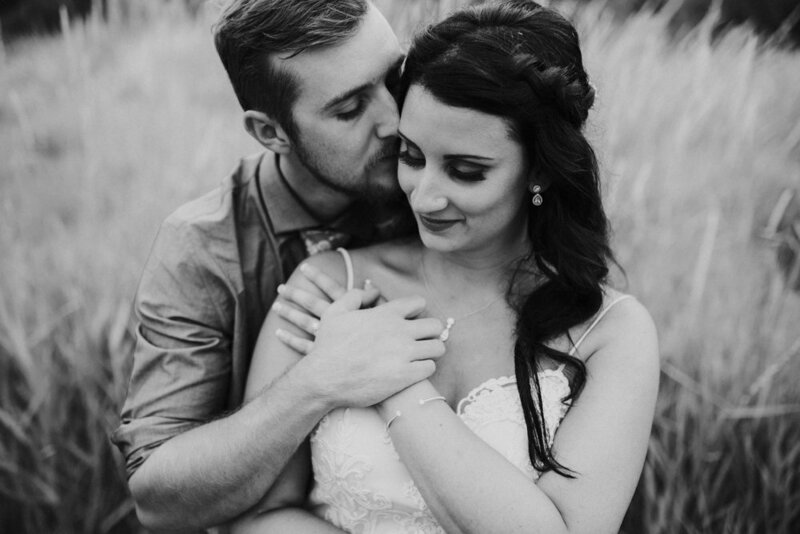 It is important to find a photographer whose style you like as well as trust and mesh well with – after all, they will be capturing memories that will last you a lifetime. If you aren’t planning to do an engagement session, then at least make sure you meet the photographers you are interested in to discuss their process. This goes for other vendors, too – see if you can try potential caterers’ meals or check out a show with a DJ or band you like before booking them. For some, this is an easy decision. For others, it takes quite a while before deciding on the final group who will stand up with you on your big day. 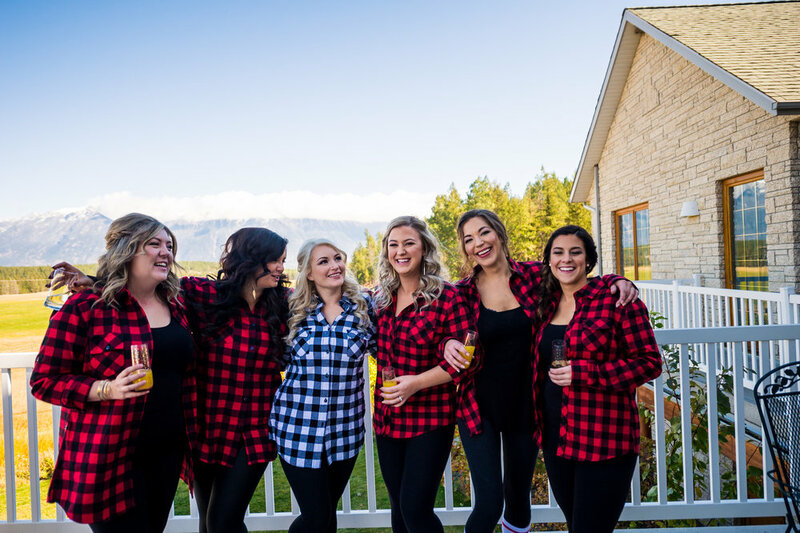 No matter how big your bridal party ends up being, coming to a consensus with your fiancé is an important step in your initial planning. These friends will be assisting you before the big day so the more notice you can give them the better. It also helps to have your bridal party assembled so you can look at dresses together; for them as well as for you. It can take months for a wedding dress to arrive once it has been ordered, and if it needs to be altered, it will be even longer before the dress is safely tucked away in your closet. If the idea of not having your dress on hand a few months before your wedding day makes you panic then you might want to start looking fairly quickly. It can also take time to get a sense of what kind of dress you want and what style suits you best. It helps to look early on in case you decide on a custom-made dress or want to take advantage of a dress sale. Many people rush into the planning process and get bogged down in all the minutiae details. Instead, work on the big decisions first and go from there. If there are certain decisions like budget and venue that are holding up other decisions, then go ahead and focus on those first. You will gain momentum once you start checking things off your massive to-do list. Just remember that you only need to focus on one task at a time and be decisive so you don’t have to revisit completed items later on. Take your wedding planning one step at a time and enjoy it! Still feeling overwhelmed? Take a peek at our Wedding Planning Timeline which we provide to couples planning a wedding at Cherry Creek Estate as a helpful guide on when specific tasks should be completed! Are you planning your wedding? Cherry Creek Estate makes a stunning setting for your special day at any time of year. Contact us today to set up a tour or consultation.